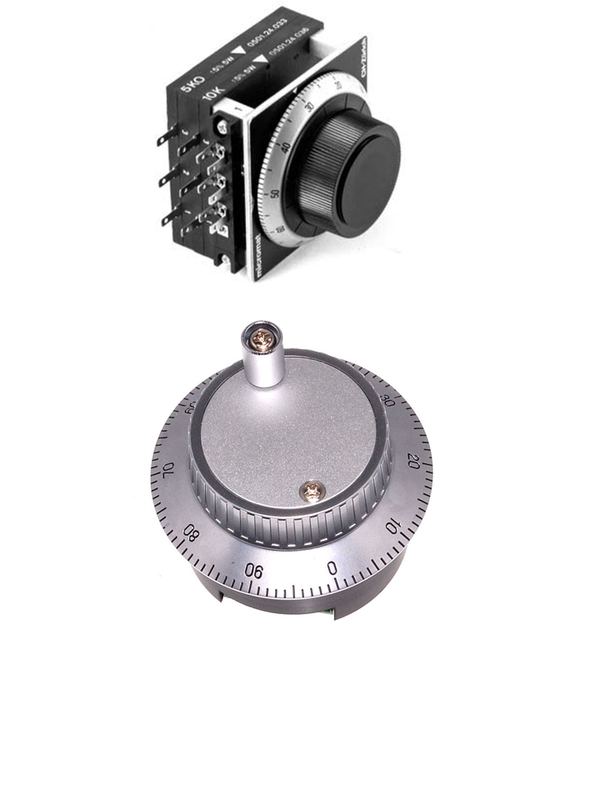 Micronor manual potentiometers are turn-key front panel-mount manual potentiometer controls – complete with front panel plate and knob with scale. Single turn and multi-turn models are available. Cam switches are also available. Micronor also can engineer special OEM models including complete handheld pendants and ratcheted versions with audible and tactile step feedback. For automating manual potentiometer controls, we recommend our PLC-compatible MR267 for low wattage (<5W) potentiometer replacement and MR266 for high wattage (20W-1000W) rheostat replacement applications.